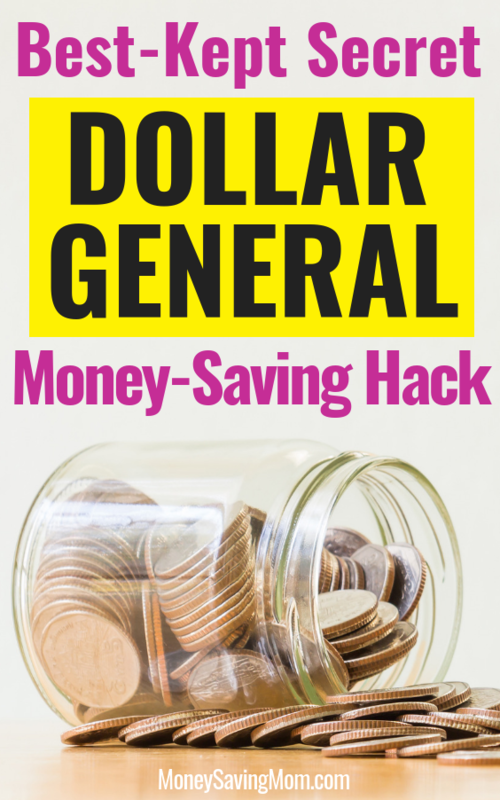 I’ve found a way to save money with this Dollar General hack so we never have to pay full price again. We actually save 20% every time we buy toilet paper and other necessary items! Extreme couponing used to be more popular, but even on my best couponing days I rarely saved much on paper products. Now I’ve found a way to not have to clip coupons or spend a lot of time planning my 20% off haul. 1. Get the Dollar General app on your phone and click on “Digital Coupons” OR go to your local Dollar General store and spend at least $5. This should print a $5 off $25 coupon on your receipt for you to use on the next Saturday. Our local store has been offering this every week for a couple of years, but I’m not sure what the policy is in your area. It’s worth checking out and using the system I am going to outline for you. 2. Go to the store on the designated date (with your printed or digital coupon) and choose whatever you need in the store. I like to get this as close to $25 on the dot for the best savings. 3. Use any manufacturer or digital Dollar General coupons as well. The app is very easy to navigate. You just click on “Digital Coupons” and click on the “+” sign next to any product coupons you might want to use. These coupons come off your purchase when you log in on the keypad at checkout. If you don’t use the coupon it’s no big deal, so choose any and all coupons you think you might use so they are ready for you. 4. Remember that any coupons or sales come off first. The $5 off $25 coupon won’t register if coupons take you below the $25 threshold. So make sure you figure out your total BEFORE you get to the checkout lane. Or just have an extra item on hand to buy if you happen to figure wrong or don’t want to have to calculate your total. This is such a great deal because you could actually buy an item on sale, use a manufacturer coupon, and still be able to qualify this product in the $5 off $25 deal. This works for clearance items too! 5. Choose any products in the store. The best thing about this Dollar General hack is that it can be used for almost anything they sell. You can use this coupon for toilet paper, clearance items, produce, groceries, paper towels, tissues, laundry products, personal care products, towels, candy, gifts, and more. All products in the store except gift cards, phone cards, pre-paid financial cards, prepaid wireless handsets, Rug Doctor rentals, propane, e-cigarettes, tobacco, and alcoholic beverages are eligible for these savings! At our store, when I pay for these products, a new $5 off $25 store coupon prints on my receipt almost every time!! So I technically don’t have to go back into the store again until the next Friday or Saturday when I can use my big coupon again. Obviously, the key to the greatest savings is to stay as close to the $25 purchase as possible, but even if you spend $30, that’s still a 17% savings with this coupon. I hope this post helps you see all the saving possibilities you can take advantage of at your local Dollar General store. I love this store because it’s small and carries just about anything that the big box stores carry in less space. I know I can be in and out of there in just a few minutes with exactly what I need! Heidi Johnson is an author, teacher, and reader of anything healthy or time-saving. She’s on a mission to help busy families make healthy choices in all aspects of life. Grab her free Healthy Living Checklist at Heidi Naturally. I used get so frustrated with my children’s toy mess… until I got very intentional about what toys we kept in our home. Then everything changed! The reality is, when my kids have less toys, they play with what they have more, they make less messes, there’s less to clean up, they get more creative, they spend more time outside, they play with each other more, they’re more content, and they have more space to play with those toys you keep. It’s seems counterintuitive but just try it and see for yourself. My top 10 boy and girl toy recommendations are as follows. I picked these toys based on quality, open-ended options for play, and the fact that both girls and boys can play with all of them. Keep it simple, give them time to get outside and don’t clutter up their play space or room with too many toys. 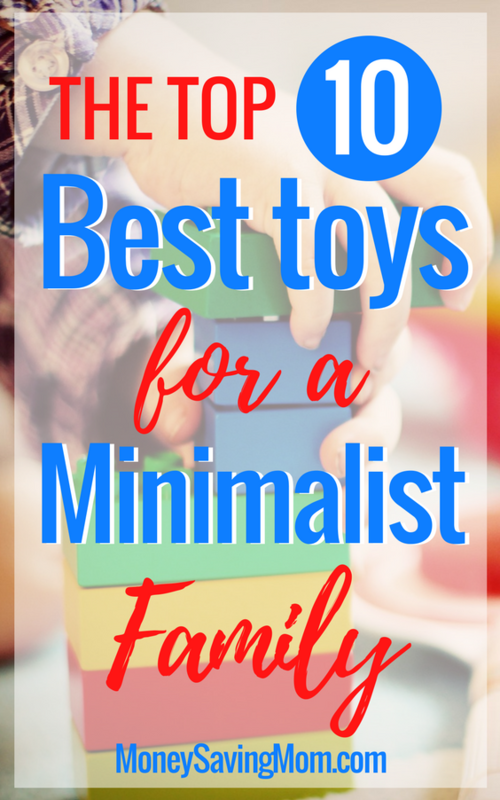 Adopt a minimalist philosophy with toys (and really everything in your home) and your kids will flourish. Plus, it will be SO much easier to manage and tidy up — for you and your kids! Priceline offers “Express Deals” which provides basic information about a hotel – neighborhood, amenities, star level, and guest rating (in most cases). They also tell you the percentage discount you’ll get by using the Express Deal, plus the price you will pay for it. Most people don’t take advantage of Express deals, because they don’t like not knowing which hotel they’re booking. (And once you purchase an Express Deal with your credit card, there is no backing out. You get what you get at that point.) With the information they provide, however, you can filter hotels offered by Priceline to figure out what hotel you are going to get! Here’s how. As an example: a hotel is listed as three star, in Times Square, offers free internet and a gym, has a 7+ rating by guests, and is available for $145 (a 39%) savings. 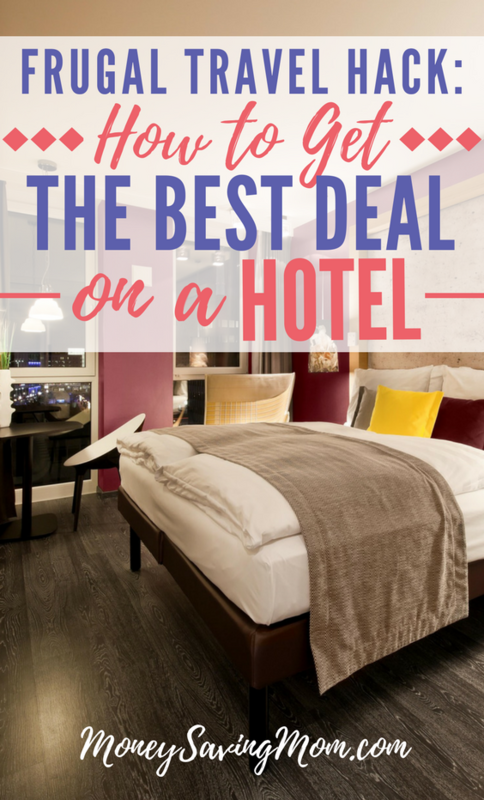 To figure out what this deal is, you back out of Express Deals and go back to the section that lists all of the hotels on Priceline. You filter your search to only show hotels in Time Square which are 3 star and have free internet and a gym. It might pull 4 matches, so you next look at which hotels are rated 7-7.9 by guests. Let’s say there are two hotels left at that point. Then it’s simple math to figure out which hotel is a 39% savings from the price listed on the screen. Make sense? Hopefully! It takes a little practice, but with this method I’ve always been able to figure out what hotel I will get (and usually at a huge savings!). I have successfully done this over three dozen times. You should also use shop through Ebates to get 3-4% cash back on your Priceline purchase. Have you tried this method with Priceline before? I’d love to hear! I have always believed that etiquette is for everyone… not just the elite. Etiquette, to me, is the culmination of advanced societal norms. It helps you feel comfortable in any situation, and, even more importantly, it helps you help others feel comfortable, as well. Many people erroneously assume you must be wealthy to use etiquette — but this is completely wrong. 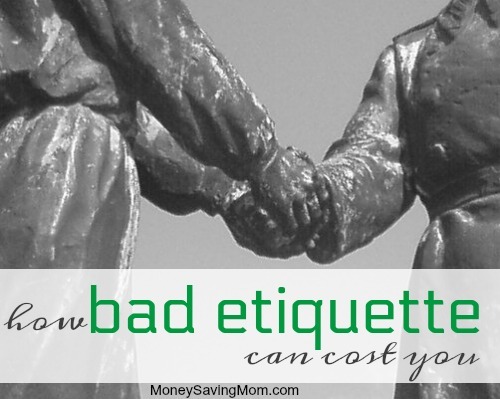 Yes, etiquette does have strong ties to money, but probably not in the ways you might expect. 1. You may get into debt trying to keep up with the Joneses. Etiquette helps you be a respectful, polite person — it doesn’t mean you need to pay to have all of your clothes monogrammed or that you need a full pattern of silverware in order to properly entertain guests. By thinking of etiquette as appearances instead of authenticity, many people assume they can’t “afford” etiquette. 2. You may not get the job. I guarantee that if you and another candidate are equally qualified for a certain job but they show good business etiquette and you don’t, they’ll get the job every time. I’ve witnessed this many times. As an employee, we are the face of a company to the public and a business always wants to show the best. 3. You may lose repeat business. Even if you get the job and “work your way up,” knowing proper etiquette and how to treat people will take you far in life. The little things really make a difference, and etiquette is something that can take you from good to great. I hope you see that etiquette is truly for everyone and see how, aside from having a more polite society, there are plenty of benefits from utilizing etiquette in our everyday world. Emily Glass is the wife of Garrett and mom to Katherine and Grant. She blogs at Etiquette By Emily and is a compliance officer of a local bank and mayor for the town where she and her family live. 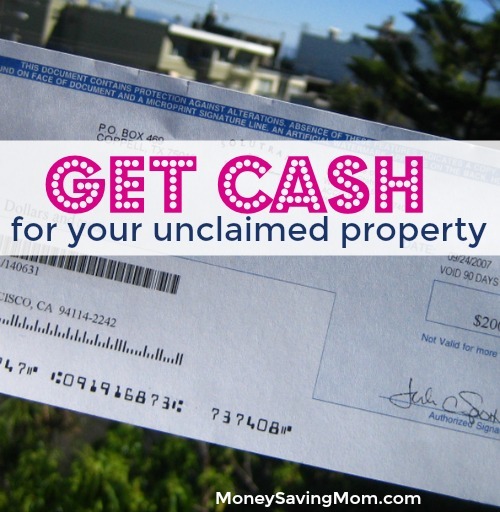 Each state has requirements that all banks, insurance companies, and other businesses report “unclaimed property” to the state after a certain amount of time (in California it is 3 years). You can search for your name in the database your state set-up and see if there is any money the state is holding for you. For instance, I had submitted a refund for lotion I bought many years ago, the company sent it to the wrong address and the check was essentially lost. My name was on the California Unclaimed Property database and I was able to file for the $3.00. I know of other people who searched and ended up finding hundreds of dollars — so it’s worth a couple minutes to check and see if your name is there. I would suggest doing an online search for “________ Unclaimed Property Database” and put your state in the underlined blank. Generally, you just fill out an online form and hit ‘submit’ or print out and mail in the form to your state controller’s office. It’s fairly simple and the turn around time was quick for my claim! Here is the link to California’s database for unclaimed property if you want to see what it looks like. I’m guessing the forms for other states would be similar. If you’re one of the many people who pay for a gym membership, you might be interested to know how I get paid to workout! I belong to a local gym that charges me $10.49/month to workout; however, I use Walgreens Balance Rewards recoup that cost! Most people know you can earn Balance Rewards points for purchases, but did you know that you can also earn them for logging good health behaviors like exercising, weighing-in, and quitting smoking? 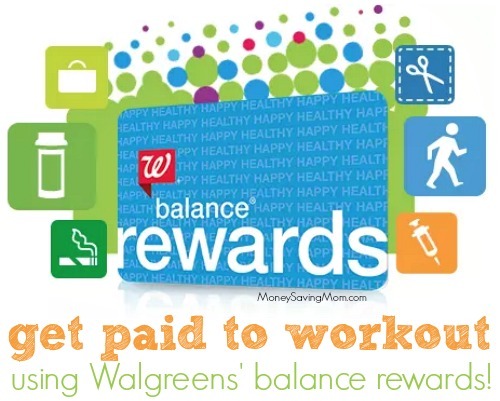 The Walgreens Balance Rewards program will give you a credit of 20 Balance Rewards every time you log one mile of walking or running (up to $10.00 per month). So if you log at least 50 miles a month, you will earn $10 a month. You can also earn Balance Rewards for other activities like weighing in and setting healthy weight goals. You can even combine coupons when redeeming your points for even more savings. It’s really a win-win situation! On top of all of this, my health insurance will reimburse me the cost of my gym membership IF I go at least 12 times a month! How great is that? !